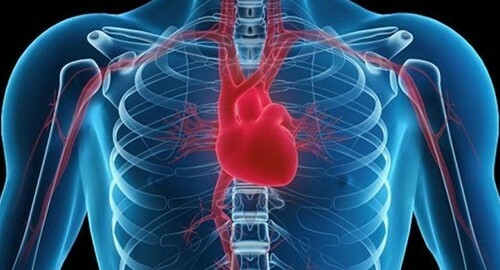 NEW YORK – Compared to patients in other countries, the typical U.S. patient is more often exposed to excessive radiation during myocardial perfusion imaging, a new study suggests. Myocardial perfusion imaging (also called a nuclear stress test) is performed on millions of people a year in the U.S. alone to help diagnose and treat coronary artery disease. A typical patient in the U.S. received a 20% higher radiation dose than someone getting this test outside the U.S., in part because American labs were less likely to adhere to recommended dosing guidelines, researchers report in JAMA Internal Medicine, online December 28. “When it is appropriately performed, the benefits of a nuclear heart scan far outweigh this radiation exposure, however it is still incumbent upon doctors to minimize the amount of radiation that patients receive from such testing while simultaneously ensuring a good quality heart study,” senior study author Dr. Andrew Einstein of Columbia University Medical Center in New York said by email. To minimize the slight risk of cancer associated with radiation exposure, guidelines recommend that exposure during myocardial perfusion tests be limited to 9 millisieverts (mSv). But only 24% of U.S. patients got doses of 9 mSv or less, compared with 43% of people treated outside the U.S.
Outside the U.S., the dose was below 9.7 mSv half the time. But inside the U.S., half the time, the dose was above 11.6 mSv. This analysis, based on data collected by the International Atomic Energy Agency to assess radiation exposure in cardiology, examined practices in 308 labs from 65 countries and included 55 U.S. facilities. Einstein and colleagues examined whether these labs used recommended radiation doses through practices such as minimizing use of higher-dose radioactive materials, tailoring doses to patient weight, and doing stress tests with less nuclear medicine when possible. More U.S. labs avoided use of thallium, a material that exposes people to higher radiation, in patients younger than 70. But fewer U.S. labs adjusted doses to patient weight or had protocols favoring stress tests done in part without nuclear medicine. When patients undergo “stress-only” imaging, they receive nuclear medicine for initial tests but only get another dose for additional images if the first pictures suggest a problem. Patients with normal results at the start of the process don’t receive additional nuclear tests. Adopting stress-only protocols reduced the average radiation dose by about 64%, from 11 mSv to 4 mSv, Einstein and colleagues noted in a second study in the journal. Even though the risk of cancer linked to nuclear imaging is thought to be small and is dwarfed by the risk of serious problems from heart disease, the results from these studies still highlight the need for doctors to do a better job of minimizing radiation exposure, Einstein said. Radiation exposure will still cause cancer in a small, but real number of patients, noted Dr. Rebecca Smith-Bindman of the University of California, San Francisco, author of an accompanying editorial. “The right imaging tests performed at the right time can lead to earlier and more accurate diagnoses, better treatment decisions, and improved patient outcomes, and advanced imaging has had a very positive impact on patient care,” she wrote in her editorial.